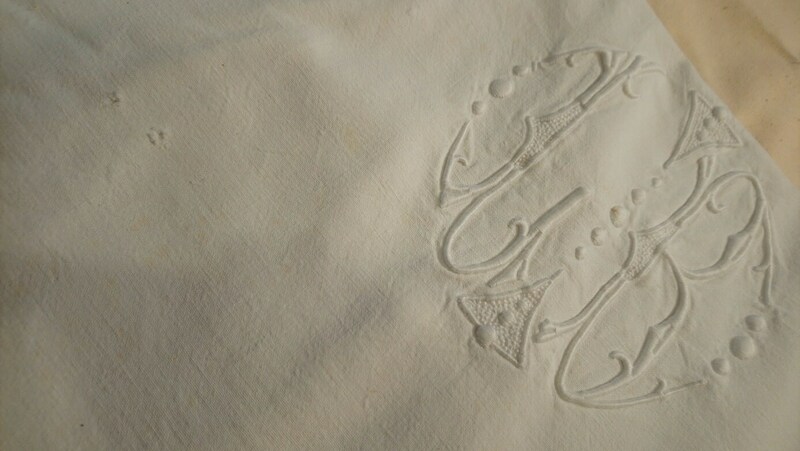 An original antique French linen embroidered dowry sheet, with beautiful stump work monogram in circular form which is probably LB. 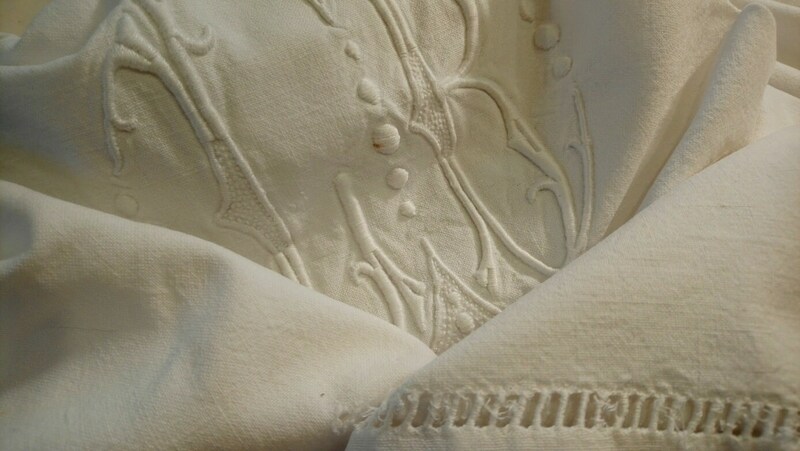 The top edge has a border of drawn thread work, some threads are loose and trailing. 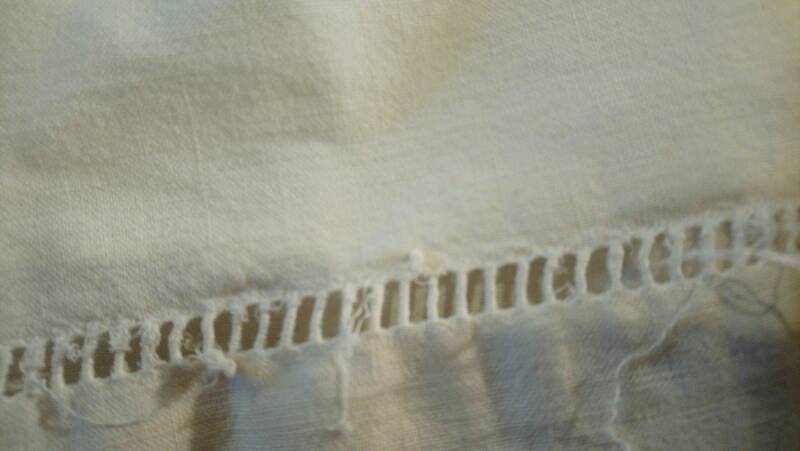 As this is an antique item, it has some slight signs of usage and age such as areas with iron mould and storage marks, the price reflects this, see photos.